Nicholas Sterling added 82 photos to the album: BCF $15 Open July - 07-28-2018. 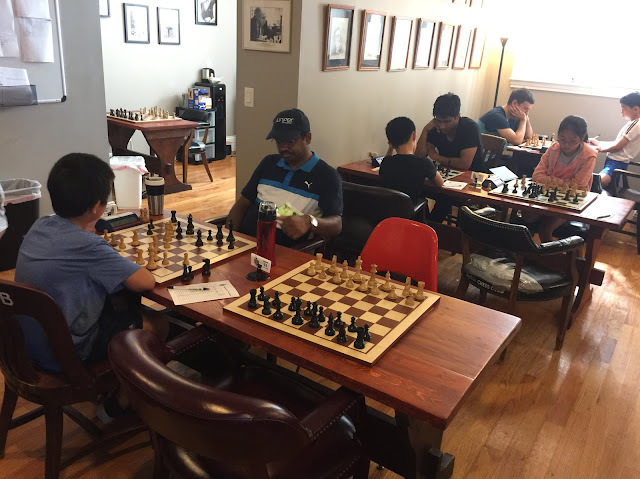 Thanks to the 38 players who filled the room at Boylston Chess Club for the July $15 Open. I am pleased that competition from the CT Open did not keep away too many players. This was my second tourny with BCF's new setup of three Sections instead of the prior two, and it was much more successful this time. The three Sections were much better balanced, and we had enough players to ensure full pairings for all four Rounds. The next $15 Open will be on a Sunday time around: 9/16/2018. including at the Charles Drafts Memorial on 8/11/18.